Meaningfully relating to others is indeed one of the therapies to cope with setbacks in life. It not only makes you more attuned to the reality of the human condition but also gives you the courage to deal with the situation you’re in. Simultaneously, it makes a difference – howsoever tangentially – to the lives of those less fortunately placed in life than you are. Isn’t it one of the ironies of life that as and when we’re doing well in life we tend to reconcile to the world around us unquestioningly? For instance, living in a tiny island of comparative comfort in a sea of misery around, it hardly occurs to us: What are our obligations to those around us? Have we done our little bit to alleviate the suffering of others? You’ll recall how, in October-November 1942, the Second Battle of El Alamein stalled the Axis advance into Egypt. This victory of Gen. Montgomery turned the tide in the North African Campaign and ended the Axis threat to Egypt and the Suez Canal. If El Alamein revived the military morale of the Allies, another development boosted the psychological moral of people by highlighting the hope that were fighting to bring into being a more equitable social order. I’m referring here to the famous 1942 report Social Insurance and Allied Services (known as the Beveridge Report) which served as the basis for the post- World War II welfare state put in place in the UK, under Attlee’s leadership, by the Labour government elected in 1945? Lord Beveridge famously identified five “Giant Evils” in society, namely, squalor, ignorance, want, idleness, and disease. The report went on to propose widespread reform to the system of social welfare to address these after the war. That was the foundation and promised a reward for the sacrifices undertaken by everyone. The post-war reforms envisaged in the Report included the expansion of National Insurance and the creation of the National Health Service. Have you ever run into a name Montefiore or rather Moses Montefiore, or to go by his full name Sir Moses Montefiore, and a distinguished citizen honored by the reigning monarch of Great Britain? In all likelihood, No! Nor had I for that matter till of late. He belongs to a bygone age. After retiring from thriving business in 1824, Montefiore devoted the rest of his exceptionally long life – he lived to complete 100 – to philanthropy. In business, he was an innovator, investing in the supply of piped gas for street lighting to European cities via the Imperial Continental Gas Association. He was among the founding consortium of the Alliance Life Assurance Company, and a Director of the Provincial Bank of Ireland. Highly regarded by his contemporaries, he was elected as Sheriff of the City of London in 1836, and knighted by Queen Victoria in 1837. It assures men that there are no ends other than their ends, no law other than their desires, no limit... Thus it makes the individual the center of his own universe, and dissolves moral principles into a choice of expediences. And it... relieves... the necessity of discriminating between... enterprise and avarice, energy and unscrupulous greed, property which is legitimate and property which is theft, the just enjoyment of the fruits of labor and the idle parasitism of birth or fortune... and suggests that excess or defect, waste or superfluity, require no conscious effort of the social will to avert them, but are corrected almost automatically by the mechanical play of economic forces. Montefiore, in his day, was a witness to the emergence of system which led to the rise of such societies. 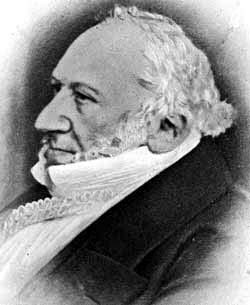 In 1884, a “Home for Chronic Invalids” was founded and named after then still-living 100-year-old Jewish philanthropist Sir Moses Montefiore. This institution, undertook to care for patients so infirm that other hospitals refused to admit them, eventually grew into Montefiore Medical Center. When Sir Moses was knighted by Queen Victoria, he chose the motto “Think and Thank” to be part of his Coat of Arms. I narrated the above to explain the choice of the theme of the piece with which I resumed writing in these columns. Our own society had its own Moses Montefiores who did a lot for the society around and its left-overs. May I mention just two whose work I’ve studied in some detail? They are Sir Ganga Ram and Sardar Dyal Singh Majithia. My contemporaries would be familiar with the man and the memorable work of Sir M. Visveswaraya, the late Dewan of Mysore state and a great engineer. Ganga Ram was giant of his time that Visveswaraya must have tried to emulate in his own time. In 1873, a successful civil engineer working with Punjab P.W.D decided to devote himself, of all things, to practical farming. He obtained on lease from Government 50,000 acres (200 km²) of barren, un-irrigated land in Montgomery District of the then undivided Punjab. (In 1978, the Pakistan Government changed the name of Montgomery District to Sahiwal District.) Within three years he wrought a miracle. He converted that vast desert into smiling fields, irrigated by water lifted by a hydroelectric plant and running through a thousand miles of irrigation channels, all constructed at his own expense. This was the biggest private enterprise of the kind, unknown and unthought-of in the country before. 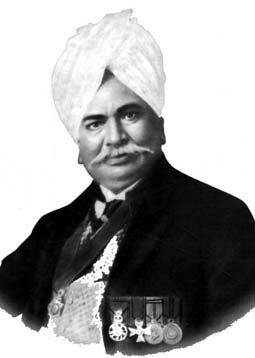 Sir Ganga Ram earned millions most of which he gave to charity. He was then leased another 40,000 acres of higher ground land for a period of seven years, which he was able to irrigate successfully once again. He constructed a hydro-electric station on the Bari Doab Canal, and was able to complete his project within the time limit given to him. By 1925, he had constructed 75 miles of irrigation channels, 625 miles of water courses, 45 bridges, 565 miles of village roads, and 121 miles of boundary roads, all at his own cost – the list of his achievements is endless. Altogether 89,000 acres of waste land had been developed successfully by this miracle worker. By now he was 70, and in 1922 he was recommended for a richly deserved knighthood by the then Governor of Punjab, Sir Edward Maclagan. Later in life Ganga Ram was appointed assistant engineer in the British civil administration and built all the important buildings on the majestic Mall Road on Lahore. These edifices include Lahore Museum, Punjab University, Government College, Punjab High Court, and, above all, Ganga Ram Hospital. Later in his life, he spent much of his wealth on building homes for the widows, destitute children and such other noble ventures. Partition took Lahore to Pakistan and triggered a communal hysteria on unprecedented scale. Hindus and Sikhs were targeted in areas that eventually went to Pakistan and Muslim blood was spilled in areas they were vacating. History bears no repetition here. A riotous mob was seen stoning the statue of Sir Ganga Ram on a public square in Lahore. A rioter climbed up the pedestal and was seen putting a garland of shoes around the statue’s neck. The police who arrived at the scene, opened fire and some of the miscreants were injured. One among them was the man who had climbed up the pedestal. Someone in the riotous mob shouted: “Let’s take him to Sir Ganga Ram Hospital”. Celebrated Urdu short story writer Saadat Hasan Manto, whose birth centenary we are observing this year, spun the short story titled ‘The Garland’ around the incident and highlighted the meaninglessness of dividing a country on the basis of religion. Manto had the uncanny knack of indulging in dark humor and doing it without batting an eyelid. He would dissect social hypocrisies and demolish reputations without even the slightest prick of the conscience. 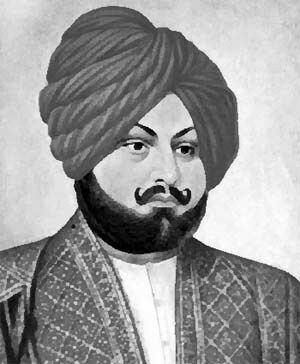 Another giant of his times was Sardar Dyal Singh, the only child of the famous General Lehna Singh Majithia. He lost his parents at the age of six. He got his early education in the Mission School at Amritsar and was later self-educated. He took up business in real estate and diamonds and earned huge wealth. He was the first president of the Indian Association of Lahore and continued in that capacity till his death. He was a founding Trustee of the Sadharan Brahmo Samaj. He was Chairman, Board of Directors of the country’s first indigenous bank, the Punjab National Bank. The Bank was founded on May 23, 1894 (its first meeting was held at Dayal Singh’s house). At the second meeting on May 27, 1894, Dayal Singh was appointed Chairman and Harkishan Lal was Secretary of the Board. He was also a pillar of the Brahmo Samaj and donated liberally for educational institutions and libraries, including numerous colleges all over Upper India, like Dayal Singh College, Lahore and Dayal Singh Memorial Library, Lahore. We have the counterparts of both the College and the Library in New Delhi. In his day he was closely associated with Punjab University. Most importantly, he also founded The Tribune newspaper (now HQ in Chandigarh). Raja Rammohun Roy’s greatest follower in north India was Dayal Singh, in whose person the two strands (of Western ideas and Indian thought) seem to have been fused. Born nine years after Ranjit Singh’s death and fifteen years after Rammohun Roy’s demise, this scion of the family that helped Ranjit Singh carve out a Sikh kingdom was one of the greatest Brahmos in the Punjab. The poor in the West are devils; compared to them ours are angels, and it is therefore so much the easier to raise our poor. The only service to be done for our lower classes is to give them education, to develop their lost individuality. Give them ideas – that is the only help they require, and then the rest must follow as the effect. Ours is to put the chemicals together, the crystallization comes in the law of nature. We are beholden to you for this great service,sir. You have inspired us all to do our best for the betterment of those less fortunate and under privileged among us. May boloji.com keep motivating the world with such excellent information eternally! Thanks to Rajender Kishen sir and his wonderful team that keep the embers glowing. Thanks for letting us know these great men.